When sales fall short the obvious culprits get the blame: the product line is weak, prospects don’t get your value or the price is too high. But no one blames it on inadequate listening skills. And yet, listening has been the focus of many studies – and these studies all prove something. Effective listening is a powerful tool to winning a big sale, and poor listening skills can blow a big sale. The stereotypical salesperson likes to talk incessantly about his or her product. However, the selling environment today is much more challenging than merely smooth-talking the customer all the way to a big sale and hefty profit margins. Winning competitive sales today takes active listening, great concentration, thorough comprehension and the ability to use the information gained to articulate a powerful, relevant value proposition. The sales professional today needs to be seen as a partner and a resource who works with buyers to find the best solution value. That’s why they must pay close attention in face-to-face and phone dialogue. They must also give careful consideration to what the customer is saying and weigh that information with previous conversations. And they should ask intelligent questions that dig deeper when it’s called for, or use a question to confirm important information from the buyer before taking action. One barrier to effective listening occurs when a salesperson hears something positive from the customer and rushes to judgment. Listening with happy ears is costly because it leads to making assumptions and failing to ask good follow-up questions. This can have negative consequences on the salesperson’s ability to close big sales. Effective listening cannot be “turned on” at will like many people assume. 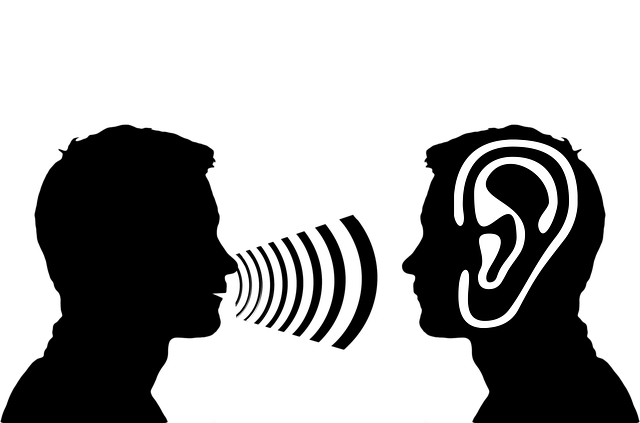 I interviewed Dr. Lyman Steil, founder of the International Listening Institute, he believes that a person’s listening ability can only be called upon to the extent that it has been developed and put into practice repeatedly. This points out that effective listening is a learned skill, gained through personal effort and consistent practice. Listening does offer a number of advantages to the salesperson that is willing to invest the time and effort. One advantage is that it creates a positive image with customers. People want to do business with someone who makes the effort to understand their business, its unique needs, problems, opportunities and goals. Listening also helps you interpret what is being said accurately, while also allowing you to pick up on subtlety and any emotion that may be influencing the decision. Another advantage of listening is that it helps you create trust and respect in the relationship faster – an essential stepping stone to being included among the suppliers the customer is seriously considering. Listening also breaks down the resistance and tension that buyers often feel during the early stages of a relationship. This helps create more open-mindedness for your value proposition and recommendations. Adapt to your customer’s speaking style, accent and mannerisms. When someone’s style doesn’t match well with your own it’s tempting to lose interest, begin daydreaming, or you might even catch yourself interrupting the customer before they’re finished. Resist distractions. The physical space for your meeting or phone call can present several challenges. Minimize the distractions that are in your control, and don’t focus on the one’s you can’t control. Stay focused on your customer and the information they are trying to communicate. Salespeople who are excellent listeners already know how important it is. They have witnessed the power of listening and how it helps them close tough prospects. Develop excellent listening skills and comprehension and you will experience increased sales. I promise!